Google had announced its Launchpad Accelerator Africa last year. The first class of the accelerator that was open to startups from Ghana, Kenya, Nigeria, South Africa, Tanzania and Uganda graduated last week with 12 startups from these countries. 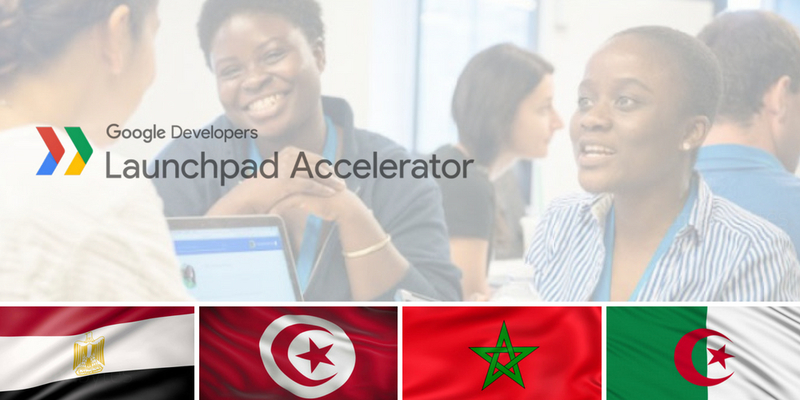 Google is now expanding the program to accept applications for the second class of accelerator from 12 more countries including Algeria, Egypt, Morocco and Tunisia. The three-month program will take place in Lagos (Nigeria) and offer equity-free support to the selected startups who will receive access to coworking space, access to Google engineers and intensive mentoring from more than twenty teams, access to Silicon Valley experts and top local mentors, PR training and global media opportunities and close partnership with Google for three months. There’s no official word on whether the startups will also receive any equity-free funding from Google but each startup in the first cycle had received $10,000 so it would be safe to assume that Google will have the same grants for startups in its second cycle. Also, when the program was announced last year, it was said that Google will provide African startups with over $3 million in equity-free support. The applications are open to technology startups that have raised seed funding (Google did not specify the amount of seed funding a startup must have raised) and are based in one of these countries: Egypt, Tunisia, Algeria, Morocco, Zimbabwe, Rwanda, Cameroon, Botswana, Sénégal, Ethiopia, Côte d’Ivoire, Algeria, Ghana, Kenya, Nigeria, South Africa, Tanzania, Uganda. Google also considers the problem a startup is trying to solve, how its creating value for the users, and how it is addressing a real challenge for its home city, country or Africa broadly. “We are humbled to be part of the success stories of these 12 startups, and as individuals, we have learned great lessons from their dedication, focus and drive. The companies will now go on to be part of the global Launchpad Alumni network, joining over 100 companies from 40 countries across 5 continents,” he added. The applications for the second class are open until July 8, 2018. You can learn more about the program here and apply here. As Google points out on its Launchpad Accelerator’s website, it seems that the company will not be accepting applications from African startups for the Launchpad Accelerator program that is open to startups from emerging markets and includes a two-week of all-expenses-paid training at Google HQ in Silicon Valley.